This pretty pattern called Sweet Mary was designed by Jennifer Bosworth for Shabby Fabrics. 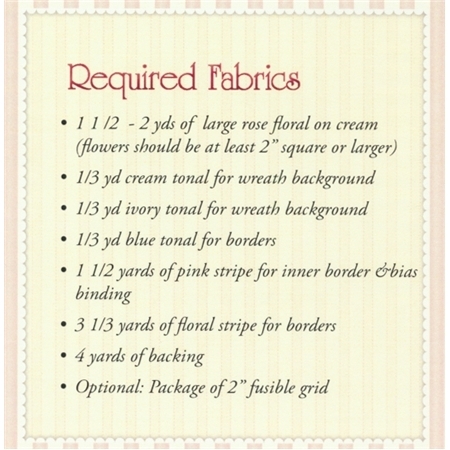 The design features a feminine rose colorwash wreath design accented with floral borders. Quilt measures 62" x 62".